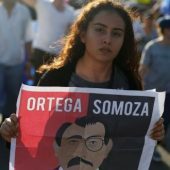 Sosyalistgundem.com previously published a report about the ongoing situation in Argentina. Over the past months, due to the intensifying the class conflict, class struggle have become rough. In this period, Argentina is on the move to the centre of an economic crisis just like Turkey. The general strike, which took place on 24 September last week, revealed the balances between classes. For the laborers, the landscape is getting darker. While 70% of retirees live below the poverty line, 20% of children suffer from malnutrition, in a food production centre such as Argentina. Also half of the children live under the poverty line. This ratio has increased to 40% among young people. Inflation is 42%, living is not affordable. As if that was not enough, Macri’s power is taking steps to further impoverish the workers by means of the agreements they have with the IMF. Health, social security and education are the priority targets for austerity program. Families lack of electricity because of a raise in electricity bills. IMF bear down, but the practices are just like adding fuel the flames. All the indications shows that the anger emerges from the poor neighbourhoods and an explosion is coming as it did in 2001. 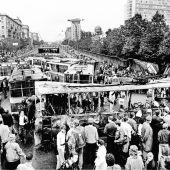 The main trade unions were forced to declare a 24-hour general strike because of pressure from coming from the masses. Their only purpose is to reduce the accumulated pressure by declaring a strike. CGT-The General Confederation of Labor did not allow any workplace-centric action or mass protests to evacuate this general strike. What they wanted for the workers was to make them stay in their homes. 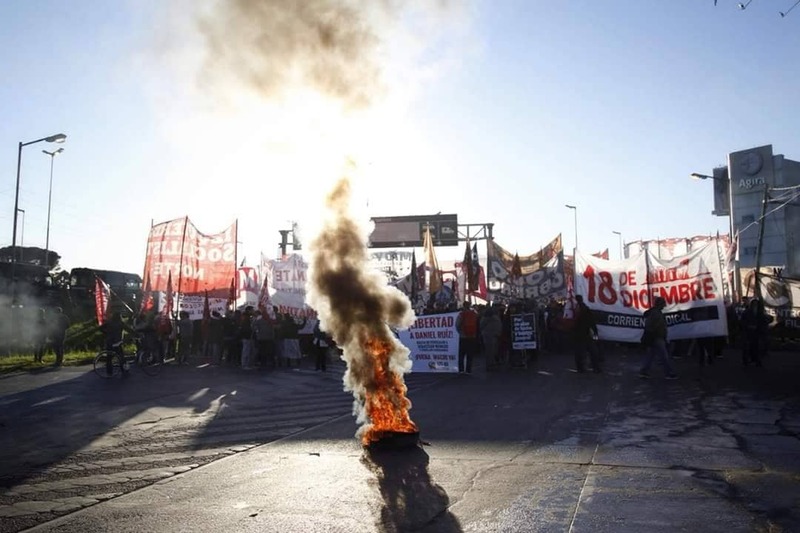 Some unions affiliated to the CTA confederation, which splited from CGT in the past, called for a 36-hour general strike and a rally in Buenos Aires. 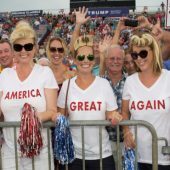 Half a million attended the rally. However, for the trade unions, the general strike and rally stand as a single exit rather than as part of the general struggle program. We did it and it was over, then? The rest is uncertain. While the CGT is looking for a compromise with Macri, Macri has show that he refuses a negotiation with the unions. The “leftist” CTA bureaucrats’ only programme is the election of former President Cristina Kirchner for the office in December 2019 elections. A part of the Peronist opposition actively supports Macri in parliament. Thanks to this support, Macri is standing. 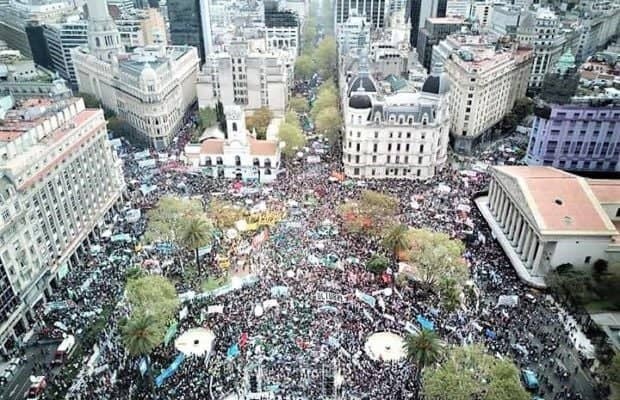 The left wings of the Peronists are protecting the capitalist apparatus which is very fragile, by imposing an electoral program (Kirchner’s election for the office) to the masses. 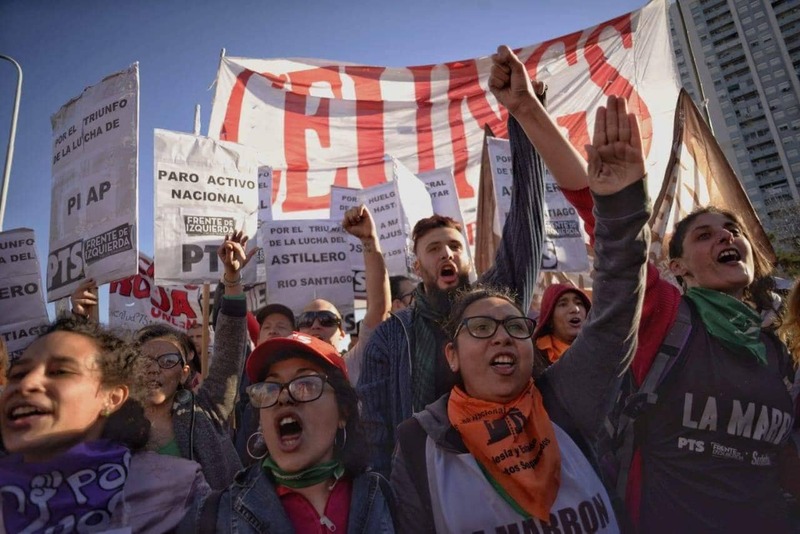 The FIT in the revolutionary wing (Frente Izquierda Trabajadores – Left Front of the Workers) and other socialist organizations are “very dangerous”s groups for Peronism. 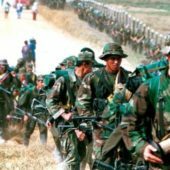 On the other hand, FIT and other components should have an agenda of class demands aroun a united front to reach the laborers who has expectations from the Kirchner . IMF raises the amount of loan that will be given to Argentina from $50 billion to $57 billion. Although this is not satisfactory for Macri who is eroding Washington’s doors like Erdogan, the IMF gave a green light to some of its credit for budgetary spending rather than debt repayments. This is an IMF support for Macri’s hand. On the other hand, the IMF is very clear about budget cuts and Macri has to attack the working class. Macri and IMF front have turned a blind eye to aggression, while worker’s actions has also matured in certain sectors. Education labourers led by teachers, railway workers, Rio Santiago shipyard workers, health workers are conducting advanced actions. Apart from this, while university youth continues to radicalize, women’s actions focusing on the right to abortion are the strongest front of women’s movement all around the world. 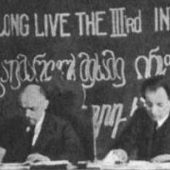 Establishment of workers committees within the leading fractions of the working class and the coordination of this on a national scale will be a giant step forward. Through this coordination center, a nationwide action plan against the crisis, IMF and Macri can be established. The development of neighborhood committees, mobilization of student youth for the revolutionary organization of poor neighbourhoods, is one of the important preparations that should be made for the upcoming storm. The pressure on socialist militants is also increasing: there are those who are arrested. The police intervention in some actions can be very hard. Moreover, some provocations are being carried out to terrorize workers and socialists. Some of them are: a provocative bomb thrown into a police station or threatened by a bomb attack. All indications show that Argentina is moving towards a decisive point. At this point, organized working class, youth segments, FIT and other socialist organizations will have historical duty.